Don Alberto Stable’s Unique Bella, a dazzling daughter of Tapit with a pair of dominant graded stakes triumphs on her growing résumé for Hall of Fame trainer Jerry Hollendorfer, is the headliner on a roster of 109 3-year-old fillies nominated to compete in the 143rd running of the $1 million-guaranteed Longines Kentucky Oaks (Grade I) at Churchill Downs on Friday, May 5. 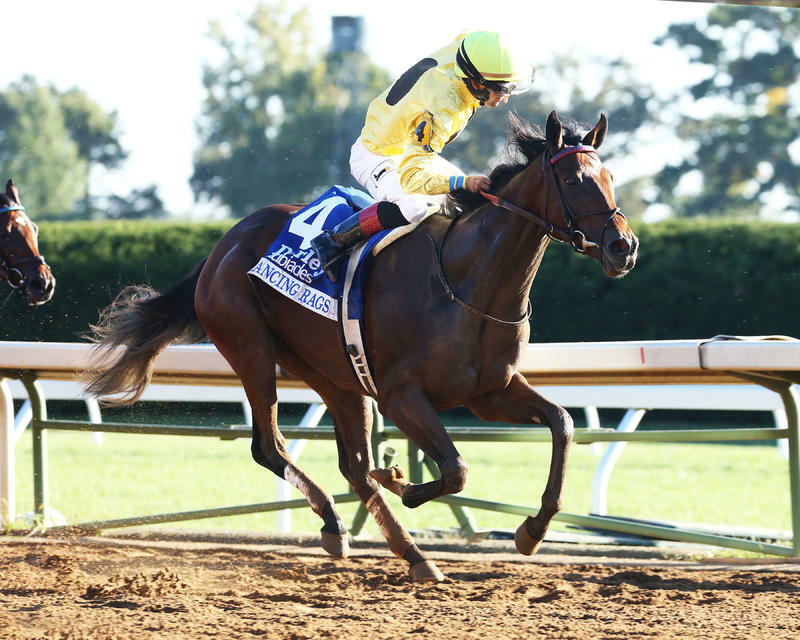 Other stars made eligible to compete in the Kentucky Oaks, America’s premier race for 3-year-old fillies, include the Peter Eurton-trained Champagne Room, the Eclipse Award champion 2-year-old filly of 2016 and winner of the 14 Hands Winery Breeders’ Cup Juvenile Fillies (GI) at Santa Anita; China Horse Club and Clearsky Farm’s Abel Tasman, winner of the Starlet (GI) at Los Alamitos; Chadds Ford Stables’ Dancing Rags, winner of Darley Alcibiades (GI) at Keeneland; Coffeepot Stables’ Farrell, the Wayne Catalano-trained winner of the Golden Rod (GII) at Churchill Downs and the Rachel Alexandra (GII) and Silverbulletday at Fair Grounds; Tommy Town Thoroughbreds LLC’s It Tiz Well, the Hollendorfer-trainer runner-up to Unique Bella in Santa Anita’s Santa Ynez (GII); Arlene’s Sun Star Stables’ Miss Sky Warrior, winner of Aqueduct’s Demoiselle (GII); Speedway Stable LLC’s Noted and Quoted, winner of Santa Anita’s Chandelier (GI) for two-time Kentucky Oaks-winning trainer Bob Baffert; Ruis Racing LLC’s Del Mar Debutante (GI) winner Union Strike; and John C. Oxley’s Pretty City Dancer and St. Elias Stable’s Sweet Loretta, the dead-heat winners of Saratoga’s Spinaway (GI)..
A total of 109 fillies are on the roster of early nominees to the Kentucky Oaks, the 1 1/8-mile test that will be run on the eve of the Kentucky Derby Presented by Yum! Brands (GI) on Friday, May 5 and, like the Derby, has been run each year without interruption since 1875. Each was made eligible by a $200 payment. Last year 112 fillies were made eligible for the Oaks during the early nomination phase. Two late nominees raised the final total to 114. The 2017 Kentucky Oaks will be telecast live on NBCSN. 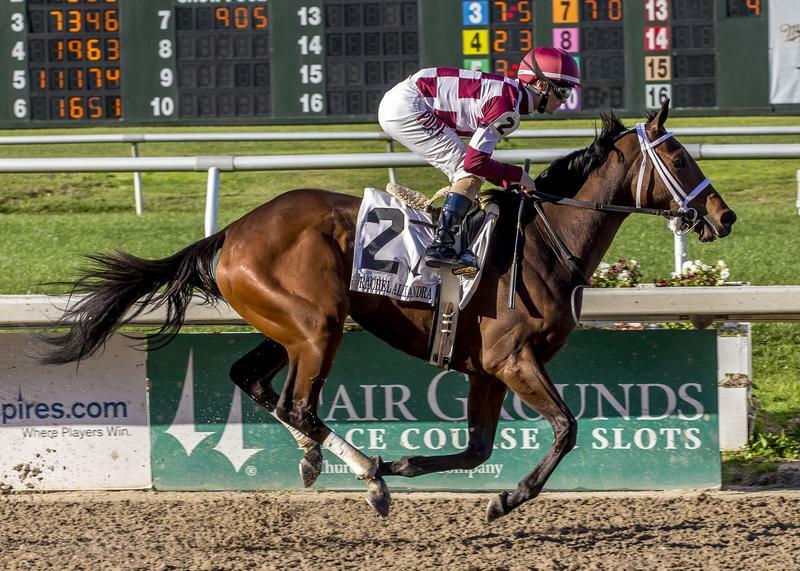 The late nomination phase for Kentucky Oaks 143 is underway and continues through Saturday, April 15. It requires payment of a $1,500 late fee to make a filly Oaks-eligible. After that date owners will have a final opportunity to make their fillies eligible for the Oaks through a $30,000 supplemental nomination required at the race’s time of entry on Tuesday, May 2. The Kentucky Oaks field is limited to 14 starters and up to four fillies can be designated as “also-eligible” to start. Eligibility to compete in the Oaks is determined by points amassed during the “Road to the Kentucky Oaks” point series. Should one of more fillies scratch from the Kentucky Oaks before 9 a.m. 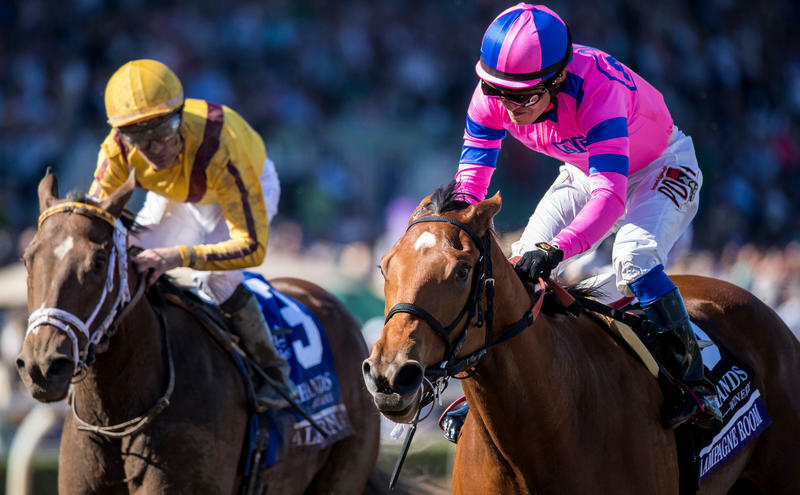 ET on the day of the race, a filly or fillies from the “also-eligible” list that possess the highest respective point totals would be allowed to take the open spot, or spots, in the Kentucky Oaks starting gate. 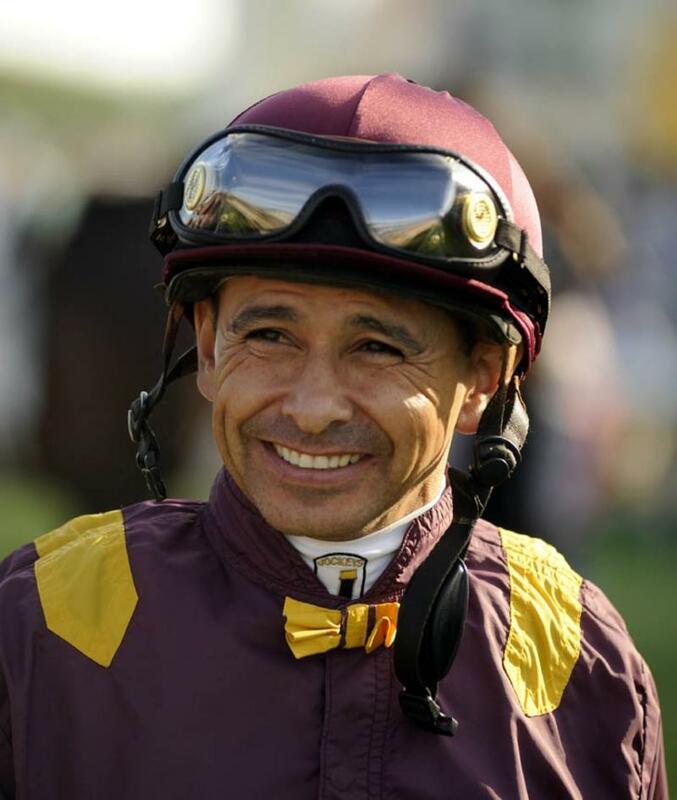 A payment of $5,000 is required to enter the Oaks, and another $5,000 is required to start. After a runner-up finish in her career debut, Unique Bella has romped in three subsequent races – including Santa Anita’s Las Virgenes (GII) and Santa Ynez (GII) – by a combined 26 ½ lengths. 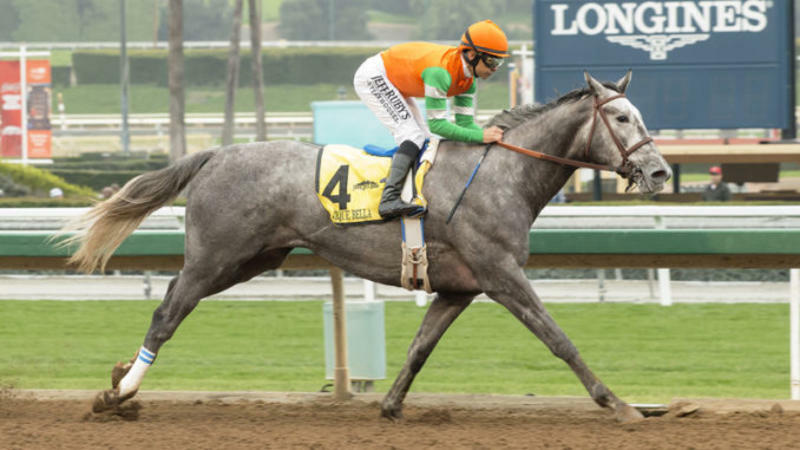 The imposing gray filly closed as the heavy even-money favorite in last weekend’s Kentucky Oaks Future Wager pool and will bid to provide Hollendorfer with his fourth victory in the race. 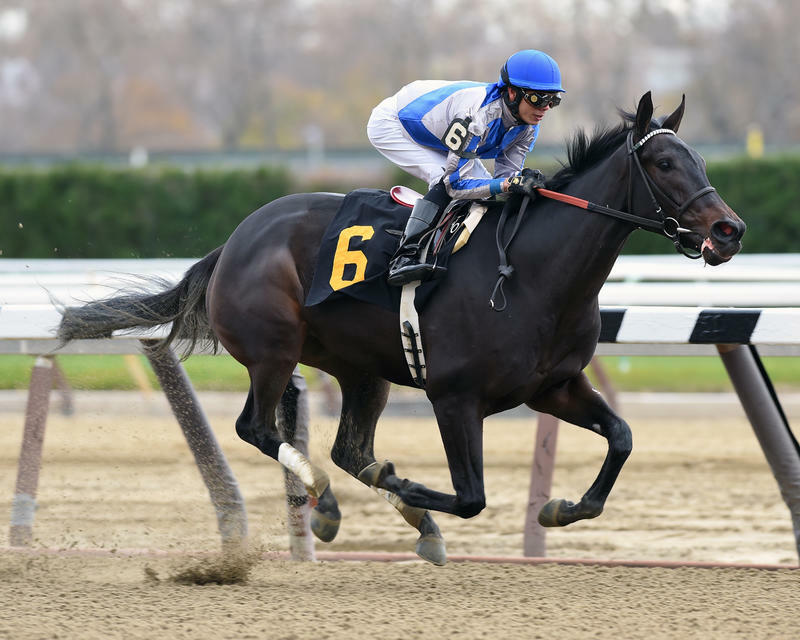 Hollendorfer previously earned Kentucky Oaks wins with Eclipse Award 3-year-old filly champion Blind Luck in 2010, Pike Place Dancer in 1996 and Lite Light in 1991. A victory in the 2017 renewal of the Kentucky Oaks would pull Hollendorfer into a tie for second for career victories in the race. Hall of Fame trainer Woody Stephens leads all trainers with five Oaks triumphs, with fellow Hall of Famers Ben Jones, the legendary Calumet Farm trainer, and D. Wayne Lukas next in line with four victories apiece. Other accomplished fillies nominated to the race include Normandy Farm’s Daddys Lil Darling, winner of Churchill Downs’ Pocahontas (GII); Oxley’s Valadorna, the Mark Casse-trained runner-up in the Breeders’ Cup Juvenile Fillies; Shane’s Girlfriend, the Doug O’Neill-trained winner of the Delta Princess (GIII); Dorothy Matz’s Tequilita, winner of Gulfstream Park’s Forward Gal (GII); Poindexter Thoroughbreds LLC’s Chanel’s Legacy, winner of Oaklawn Park’s Martha Washington; Katherine Ball’s China Grove, winner of the Wide Country at Laurel; Stonestreet Stables LLC and Fog City Stables’ Delphinia, winner of the Cincinnati Trophy at Turfway Park; J. Larry and Cindy Jones and Fox Hill Farm’s Jenda’s Agenda, unbeaten in two starts for trainer and co-owner Larry Jones, a three-time Kentucky Oaks winner; Juddmonte Farms’ Lockdown, the Bill Mott-trained winner of Aqueduct’s Busanda; Reddam Racing LLC’s Las Virgenes runner-up Mopotism; and Beau Ravine LLC’s Tapa Tapa Tapa and Claiborne Farm and Adele Dilschneider’s Elate, the 1-2 fnishers in the Suncoast at Tampa Bay Downs. Adding international flair to the this year’s Kentucky Oaks nominees is Ten Mohs, a Kentucky-bred and Japan-based daughter of Speightstown owned by Koji Maeda’s North Hills Co. Ltd. and trained by Yuji Iida. Maeda also owns Lani, who competed in all of last year’s American Triple Crown races for males and recorded his best performance in a third-place finish in the Belmont Stakes (GI). Ten Mohs won her racing debut at Kyoto on Jan. 29, but finished 10th in an allowance race at Hanshin on Feb. 25. The Kentucky Oaks is the centerpiece of a spectacular day of racing and entertainment at Churchill Downs that celebrates fashion, food, celebrity and fun with a focus on women’s health issues and outreach. This year Churchill Downs will partner with Louisville’s Norton Cancer Institute in a charitable partnership to raise funds and public awareness of breast health screenings and services in the community. Another important part of Kentucky Oaks Day 2017 will be the ninth renewal of the emotional Survivors Parade Presented by Kroger, an on-track, pre-race parade featuring 143 cancer survivors. Also returning for the day is the popular “Pink Out” fashion tradition in which all Oaks Day attendees are encouraged to incorporate the color pink into their race day attire. 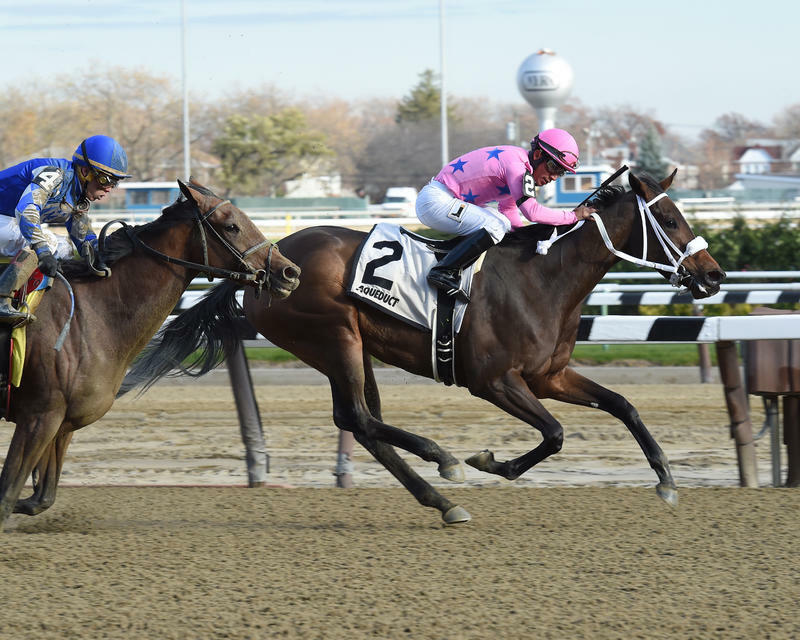 For the complete list of nominations to the 143rd running of the Kentucky Oaks, CLICK HERE..